Unique names are becoming more common, with new moms being inspired to help their daughters stand out from the crowd. 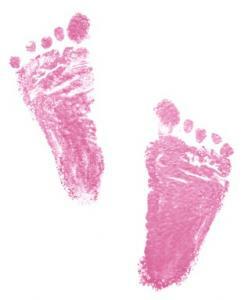 However, it can be difficult to find truly extraordinary names for your baby girl. At the same time, you don't want something too strange or that has a weird meaning. This list has some beautiful choices that will set your little girl apart from rest of her peers. The following names are uniquely lovely for a baby girl. Choose a Hawaiian baby name. Celebrate your baby with a Filipino name. Name your baby after a city. Choose a celestial name for your angel. Consider the following questions as you narrow down your choices. Will the name grow with your child or is it only appropriate for a baby, or young child? Do you and your spouse agree on the name? Do you like the meaning of the name? Does the first name sound nice with the middle and last names? Is there a person you would like to honor with your baby's name? Can it be shortened to a nickname you don't like? Is the name so unique that it is difficult to pronounce? Is the name something that other kids might make fun of? The answers to these questions can help you make the big decision of what name to give your baby girl. Keep in mind that the ultimate choice comes down to you, as the parents, and you may have to disregard the thoughts and comments of others who have never heard your unique choice. The final decision should be a name you love and that you'll enjoy giving to your baby. In this day and age of rare names and unusual spellings, many new parents are finding that sometimes, the best way to provide a unique name is to change a formerly common one. Few babies are now named Helen or Lucille, both of which were common names at the turn of the century. Delving back into history may inspire a new spelling, and oftentimes uniqueness is found in the resurrection of a long-forgotten favorite. Giving the classic spelling of a name a new twist is another easy way to make it unique without being so bizarre that you find yourself explaining it to everyone you meet. Remember, your daughter has to live with the name her whole life.